United Kingdom / Gibraltar / Canada — March 14, 2019 — Tokenise, a London based, FCA regulated leader in the creation and crowdfunding of tokenised securities, is pleased to announce that KABN (Gibraltar) Limited will be the first client to launch on its platform to sell equity tokens, representing shares in the company. KABN is a global financial services platform that has developed, among its suite of financial services products, a patent pending, blockchain based, GDPR compliant, ‘Always On’, global identification, KYC and AML support service for investors and clients. 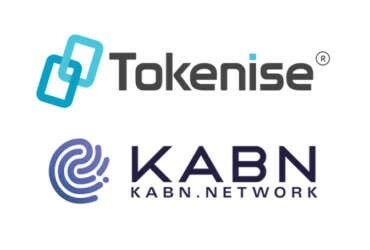 KABN will also be providing its services to Tokenise and its partners and participants. Tokenisation of securities and other assets will transform the efficiency of capital markets. Removing inefficiencies, friction and barriers to participation will democratise the process of matching issuers and consumers of risk capital. This in turn will increase the flow of funds and investment opportunities for market participants. Tokenise intends to provide innovative capital market solutions for the SME sector with frictionless access to a global investor base. launch its crypto-linked card and banking wallet program. KABN has partnered with European e-money institution Transact Payments Ltd, global processor GPS and platform technology provider Pannovate, to launch the program in the UK and subsequently the EU in the 2nd quarter of 2019. Branded the Pegasus Flyte Visa card, the KABN card program offers an “on/off ramp” conversion process for a variety of cryptocurrencies to fiat, together with multi-currency fiat transactions. Cardholders will be able to use their Pegasus Flyte Visa card to spend in-store, online, and at ATMs wherever Visa is accepted globally. Expected to launch on the Tokenise platform in April, the KABN Token (www.kabntoken.com) will allow the Tokenise community to purchase equity tokens representing preference shares in KABN. All investors that qualify as per the regulations will be eligible to participate in the equity token sale.